After the first week of lab experiments and getting to know Trondheim and the NTNU campus, we finally took our first weekend trip to the Studenterhytta. After the first week of lab experiments and getting to know Trondheim and the NTNU campus, we finally took our first weekend trip to the Studenterhytta, otherwise known as the cabin. NTNU has a cabin just a 20 minute bus ride from downtown Trondheim, that is all run by the students. People are allowed to stay there on the weekends, and this weekend in particular, many of the students were studying for exams. 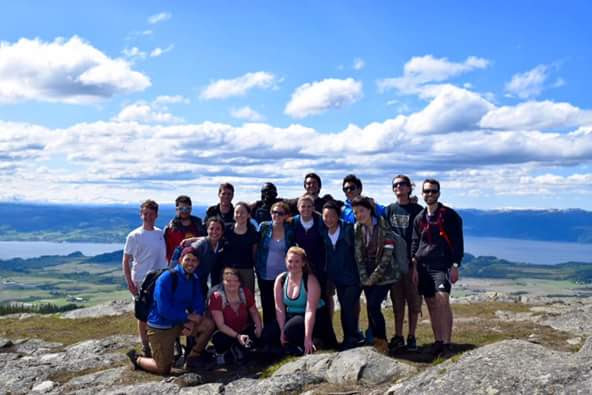 Us American college students were all ready and excited to stay at the cabin, so once we got settled, we let the studiers be, and we took off on our hike through the Norwegian wilderness. After an hour, we reached the overlook of the hike and it was beautiful. 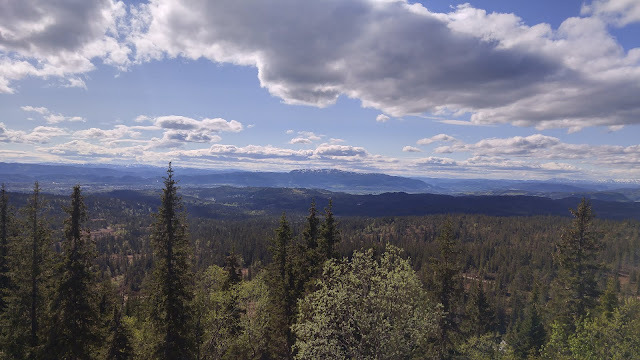 Norway is kind of similar to Minnesota in its forestry. But what Minnesota lacks is the mountains, and valleys, and the views that can match one like this. After the hike we got back to the cabin and had dinner with the other students and we chatted about politics, the economy, and other really grown up stuff. Then we had another discussion about how funny everybody sounds. Later on into the evening, students took a break from studying to socialize, play board games, and there were even a couple that played the cello and the piano for everyone. Being able to talk and relate to people around the world, and being able to bond as a group of college students all experiencing a totally new place and having a great time doing it was amazing. After this weekend, we get to head to the field station to learn about more concepts, and I know that I’m glad to go there with an excellent group of people.